Please note: item comes bagged, not in Playmobil blue boxes. The undead sail the seven seas with this Ghost Pirate Captain! 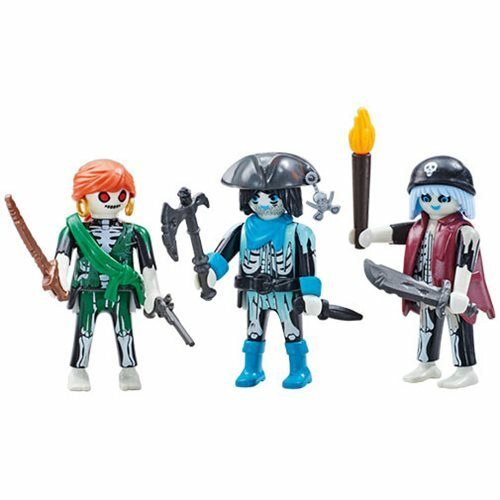 These three spirited treasure hunters have visible bones, ghostly glowing faces, and nice hats. Dressed in decaying sea fare, each figure comes armed with accessories like axes, swords, knives, guns, and torches. 3 figures. Ages 3 and up.